Pet Promotions and Giveaways. Pet owners love their pets like they are part of the family. So, why not give them something they will appreciate. There are several custom pet promotions that you can use, imprinted with your logo, to market your business. Pet themed items can be specifically for the pet such as custom water bowls or they can be used by both pet and non pet owners such as paw shaped letter slitters. Frisbees and stuffed animals are fun giveaways for everyone including pets and non pet owners! Give back to the community. A great way to promote your business is to join a local charity or do something for the community. An example charity is the Southwestern Guide Dogs walkathons. These are walkathons where dogs are allowed. Most charity events don’t include pets but since this organization is committed to raising money to train guide dogs they encourage you to bring along your dogs and puppies. The Southwestern Guide Dogs is a great example of how promotional products are used to increase awareness. Everyone who raised $100 received a T-shirt and those that raised $250 got a branded tumbler. There are other ways you can help pets and pet owners in your community while promoting your business. For example, you can team up with a shelter and host a pet adoption. Or, support your local pet therapy programs. 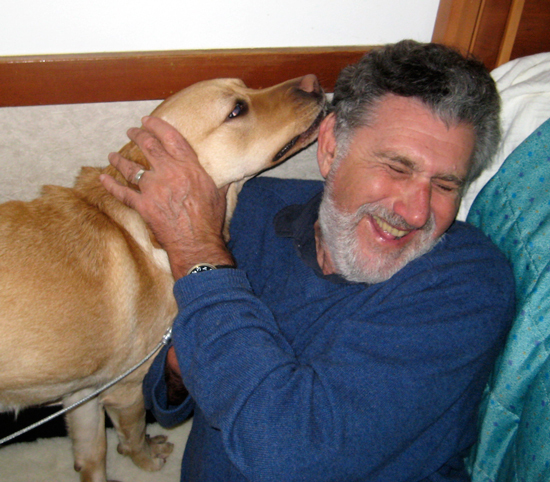 Pet therapy helps people recover and/or cope with health problems. Do you have any pets? Do you think that the pet industry is a growing target market? How can you promote your business within the pet community? This entry was posted in Promotional Products and tagged pet industry, pet owners, pet promotions, pets, Target Market. Bookmark the permalink. Pets were always a big market and I think that social media made it bigger. I mean after all, we all seem to share (in particular) furry friend posts! My husband and I love dogs but after having to make the difficult decision to say good-bye to our most loved Chanel at 16 years old, we vowed we cannot do it again – say good-bye. It’s a heart breaker. Indeed our pets can be like family. Hmmm. Promote my business in the pet community – have to think about that one. Pat- You will notice that there are more TV ads with pets even if they are not selling pet products. I remember your blog about Chanel. I have had dogs all my life and they really touch me. The picture you see on the blog is my dog when she was a puppy. I bought her the Halloween costume. So pet advertising works. Arleen recently posted…An Emerging Target Market: The Pet Industry! I don’t have pets. I am allergic to most. It was a relief when my kids grew up and I didn’t have to house pets anymore. But almost all my friends have them and I certainly do think it’s a huge and growing industry. Beth- When advertisers is trying to reach out for example on TV you will notice more and more are using pets to convey their products even though they are not pet related. The Top Super Bowl ad last year featured the Clydesdale horses and a puppy. Agree with you Arleen, pets definitely is a big market, mainly in the developed world. Personally don’t see how I could promote my projects, or blog for that matter, to pet owners. Having said that needless to say I have readers, and customers, who are pet owners. Catarina recently posted…Are you a thought leader? Hi Arleen, this is so timely. I have been reworking my Etsy shop and want the ‘new and improved’ shop ready to go by Oct. 1. At that time I will be introducing a new flea repelling pet product so this post really got my attention. You’re right that Pets are BIG business. Pets are big, no question about it! What a great way to engage customers, but including their pets in your marketing efforts! I think pet charities take in more dollars than human charities! As an aside, I get more likes on any cat p[ictures I post on Facebook than any other posts! Jacqueline Gum recently posted…THANK YOU…WHERE’S THE JUSTICE? Jacqui- I have noticed the same thing. If I put a pet picture of some kind I will get likes. Pet advertising does work. Hard not to find a pet that isn’t cute even if they are ugly. We look at them and say wow, he is so ugly he is cute. 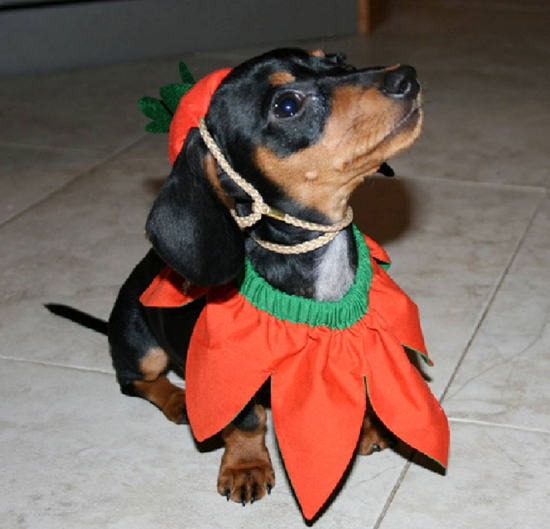 As I am not a fan of Halloween, I was unsure of what ‘spooky’ outfit your dog would be wearing. I was surprised to find a cute looking dog with an outfit that was not frightening in the least. Phoenicia recently posted…Decision making – not for the faint hearted! I’m totally a sucker for my dog. It is amazing how much money we will spend on our pets. I never thought of getting my followers to share about their pets, but I can see how people would get really excited about that. Definitely something to think about. Great tips and the pet industry has been thriving for years. I’ve been involved with our local food bank for years and when we run a food drive we always encourage people to also donate food for the local shelter. My niece rescues abandoned and abused animals and I’m a volunteer for a group that supports service dogs for veterans. It’s a wonderful way to recognize our shared humanity. Marquita- From what I just read For 2015, it estimated that $60.59 billion will be spent on our pets in the U.S. You can’t lose with what you are doing. Susan- Pets have a way of getting under skin. When I see the shelter ads come on, I can’t wait to give back. I have donated money and articles to our local animal shelter. Pets are indeed a huge market. The pet clothes thing is amusing, but makes me roll my eyes though. I’ve adopted two rescue dogs so far in my life and wouldn’t have it any other way. The Idaho Humane Society does an annual See Spot Walk event where you donate to help support their efforts and then take part in a huge dog walk through downtown. Jeri- I have never bought any clothes for my dog in the past. I bought the costume because October is my birth month and I had just had breast cancer surgery so I wanted something to cheer me up. That is exactly what it did. I am a pet owner and yes I agree that the market for pet products and services has exploded. There are things in my neighborhood I never would have dreamed of, like a doggie day care center and a grooming truck that will come to your house and wash your dog and clip its nails. Almost everyone in my neighborhood has a rescued dog. So these are guys who had a rough start in life but are now deservedly getting spoiled. Ken Dowell recently posted…Will Cars Fly? Or Will They Just Get Smarter? Ken- Those pets have a way to working their way into your heart, whether you purchase from a breeder or a shelter. Who would have thought 10 years ago to have a mobile grooming truck. OK how cute is your dog! And she has that, “Do I look adorable Arleen”?expression on her face. Pets are a booming market, I read that pet owners spend $41 BiLLION on designer clothes for their pets. I thought that was high but you figure is even higher. So much for the expression, “A dog’s life”. I agree the pet industry is absolutely growing! I mean, who could refuse such a cute little face? If other pets are as cute as your pup, then we humans don’t stand a chance! Meredith- Oh yest the pet industry is growing by leaps and bounds. With a face like Roxie it is hard to refuse her but to keep her in shape when we eat she goes it a beautiful crate. Only the best. When I grew up we had many pets, cats and dogs, although the dogs were not pets but more business partners. When you grew up in that time in a rural area, your dogs were hunting dogs, and used for protection when you were in the woods and warmth if you ever got lost in them. I actually miss the company of a dog. There is nothing as loyal, both to you, and to them. Thank you for sharing this post with us. Bill- There is nothing like a dog to make you humble and appreciate your life. That unconditional love is something you do not get anywhere else. The pet industry plays into that and it is working. Yes, I certainly see pets as a growing market. This is especially true for those who have no children or their children are grown. I would target older people who are comfortable with some social media and who love animals – that certainly seems like there is room for growth. Leora- I think pets are for any age but they really become an asset for someone who is older or an empty nester. Our dog has really filled the gap and I am constantly buying something for her. Everyone says that when they die they want to come back as my dog. Nothing much better than a dog. I have always wanted one (or two) but because I travel so much I never wanted them to be on the short end of that stick. Pets of all kinds are an amazing addition to any family. Tim- You decision to not have a pet is a humane one since you are not around. Because pets make our lives whole the pet industry knows how to work it. Fun post and fun comments. I think we all pay attention when there is a pet in the ad. Sometimes, though I must admit, I forget what the product is! Rose- I will have to agree with that when I see a pet ad I am into the dog and forget about what it is that they are selling, but will ask myself what it was that they were selling so it brings it back to the forefront. I really had no idea, it was such a potentially lucrative niche market. And obviously there is a ton of room for potentially lucrative sub niches and service markets as well. And you’re right, pets are definitely considered members of the immediate family! All you have to do is notice how many pet lovers, passionately share their pet videos and pictures all over the place! And without a doubt they bring so much joy and help enrich our lives in so many ways!Thanks for helping to crystallize their potential monetary value as well! Mark recently posted…Why Wall Street Aren’t The Only Ones That Profit From Creative Asset Management! Mark- Dogs are the one thing that gives us what we need. That is unconditional love. We are all searching for that and when you advertise with the pet in mind or use pets to brand your product you can’t go wrong. I have never heard anyone say I can’t stand my pet. With the pet industry being such a large market for sales I think it is a no brainer. This was very helpful! The stats really show that promo products are effective.